Youth Alliance offers multiple Parent Education Services aimed at supporting families with a variety of needs regarding child and teen development. These services focus on enhancing parenting practices and behaviors that will best support all youth and families. 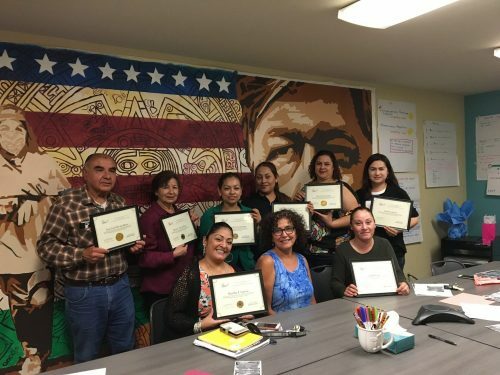 YA specializes in developing positive discipline practices and techniques while offering holistic supports to families in need throughout San Benito County. The following programs and resources are available to all families in order to support and strengthen parenting skills. Is a parent lead education and empowerment group. Parent Alliance groups support each other with community resources and education to support successful school and parent relationships that lead to change. Parent Alliance attends community meetings to continue parent engagement that will foster successful academics, safe school climate, and stakeholder involvement. The use of restorative justice practices are used to facilitate meetings. (WRAP) groups can help to develop real tools you can use to manage life. WRAP can help to feel better, manage challenges, decrease troubling feelings, achieve goals, and improve the quality of one’s life. Classes use evidence-based curriculum focused on changing destructive adolescent behavior and increasing positive family experiences. Each topic, from active supervision to, substance use, is presented with the focus of recognition, intervention, maintenance, and prevention. Parents can share real concerns and learn from other families’ experiences within a safe space. Recommended for parents of middle-high school age children. Class cost is covered by department of Probation. Any interested parent can attend. This class is offered 2 times a year, once in Spanish, and once in English. Contact us to enroll or be placed on a waitlist. Class meets once a week for 13 weeks. Classes last between 3-3 ½ hours. Childcare and a light dinner is provided at no cost. Text-book purchase is required for class. Cost of book is $35 dollars; text can be purchased at reduced cost if necessary.